In our possible world labs we bring together storytellers and academics. Scholars and scientists excel in thorough analysis, but much of their knowledge remains uncommunicated outside of their peer groups. On the other hand, storytellers and media professionals often have a very intuitive and emotional approach to the topics of their stories. In a world that becomes more complex by the day, we believe these two groups of people can highly benefit from each other - by investigating topics together, finding core elements for problems and stories and bringing them into a form that the intended audience understands. To this end, we are developing methods for collaboration to spark conversations and new ideas for storytellers and scientists alike which are feasible in a set timeframe. Our method evolved from tools for world building - the creation of fictional worlds. The question "What would the world look like if...?" is the main application of these tools, and it is as central in philosophical thought experiments and scientific modeling as it is in media content creation. By creating a concrete world together, gaps of background, vocabulary and theoretical understanding can be bridged and new terrain can be discovered. With 4Change, a research network consisting of 13 faculties of 7 different Universities we are tackling the question of resilience: the ability of systems to adapt to change. 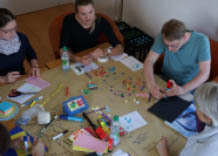 With 13 facultymembers and 6 Gamedesigners and the help of Fabian Schaub of Navel we facilitated the design of 6 beautiful games designed on the base of the researchpapers of the resilience researchers within 48 hours. We are still stoked about the results! With 4Change, a research network consisting of 13 faculties of 7 different Universities we are tackling the question of resilience: the ability of systems to adapt to change. 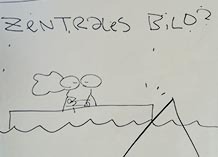 In continuous workshops we encourage and ignite outside the box thinking and will hold a game design workshop in fall to create games about resilience with game-designers and researchers. 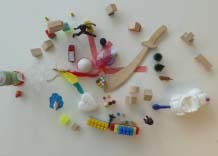 Some insights of our latest workshop which we did together with Verwegener&Trefflich you find on the 4Change Blog. nifu.tv produced a VR experience in cooperation with FMX, INVR and supported by RLF with the title „Future of VR“ where we interviewed some of the world's biggest pioneers in this field, like Marc Bolas from USC, Ken Perlin from NYU, Cory Strassburger from Kite and Lightning, Paul Raphael from Felix and Paul and John Root from Magic Leap. It has been shown at Kaleidoscope World Tour, MUTEK, Dutch VR Days and was part of the FMX Exhibit 2016. Together with CERN and the Tribeca Film Institute we are mentoring a Hack which engages in combining VR Technology, Storytelling and Science. This programm runs throughout 2015 and will have encounters at the International Film Fest Locarno and at the LIFT Conference where the final prototypes will be presented. The Storymatter Hack by Tribeca Filminstitute and Cern was the first Tribeca Hack outside the US. We joined to build a Prototype connected with science and storytelling in only 5 days. Check out a small Documentary about the event here. More about the project you can find here. We curated and ran the Hacks at the three day symposium Stage@Play which was held in Stuttgart by Filmakademie, ADK and Theater Rampe . 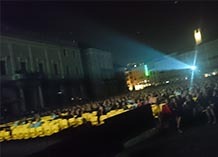 We wanted to give a platform for the crossover of new technology, such as location based media, VR, AR and Gamedesign with the performing arts. In three days people could participate in our Playwalk (or conference strawl) and participate in Games in the Urban space, follow three international casestudies and finally participate in our 2day Hack in which incredible results were achived. 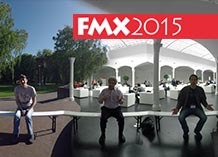 Together with Benjamin Rudolf from Nau-Hau we curated the experimental immersion Track at FMX. We in invited Eric Joris (crew), Cory Strassburger (Kite & Lightning) and Bryan Mitchell (Novum Analytics) to talk about their experimental takes on the fields of VR and AR. We brought the acclaimed animation director Andreas Hykade to our project partners, the research group ForChange, to apply methods from animation to scientific research. “Tell your story in one picture” was the agenda for this one day Workshop. Next to a poster for each participant's research topic the outcome of this session are answers to the question: How can creative development methods fuel scientific research? Andi's lecture at the LMU Munich about Tim Mulgan's introduction of political philosophy „Ethics for a Broken World“ raised questions about how a narrative has to be structured to be believable and how much information we need to be able to picture a fictional world. We created concrete storyworlds based on Mulgan`s vague descriptions about how people will be living in 100 years. With the concrete worlds we created we tested the assumptions given in the book and executed several thought experiments. 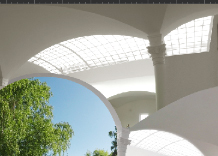 We supported Projectscope and Handling Ideas with their approach of uniting World Builders from different Industries. Architects, Themepark- and Game Designers, Filmmakers, Authors and Educators from entities like the 5D Institute and Disney stuck their heads together to put on the table what “world building” means for them. After their talks at the FMX conference the speakers of the world building track gathered to combine their knowledge and techniques in a very fruitful trial and error session. 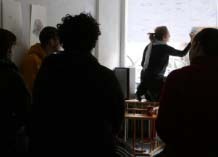 The worldbuilding workshop held by Jörg Ihle at the Filmakademie Baden-Württemberg teaches the basics of how to set up fictional worlds. Adressing students from Directing, Screenwriting, Production and Interactive Media we codesigned this 4 day lab by bringing in scientists from the humanities to fuel depth and accuracy of the fictional worlds created by the students and to work further on our core research question: how can science and storytelling be combined in a fruitful manner? Together with artLABOR Munich we asked the question „How can art influence the socio-economic system within it is produced?“. Can art be free as a part of an economic system on which it depends? 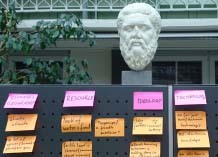 These and other questions we were tackling with a number of vivid interdisciplinary groups consisting of designers, artists, producers, philosophers and psychologists. 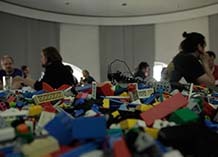 The introduciton was given by Artist Jos Diegel and his Film "KEIN HELDENTUM UND KEINE EXPERIMENTE". How does the future of new media look like? How can funding but also productionlines and storydevelopment be structured in a ever changing environment? 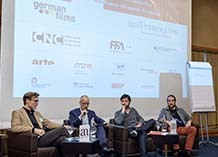 We tackled this question in an open discussion held at the German-French Filmsummit in Leipzig 2014 which we planned and organized supported by German Films, Uni France and the Atelier Network with special guests Egbert van Wyngaarden (Transmedia Bayern), Robert Cibis (Oval Film) and Dominique Willieme (Arte Digital). 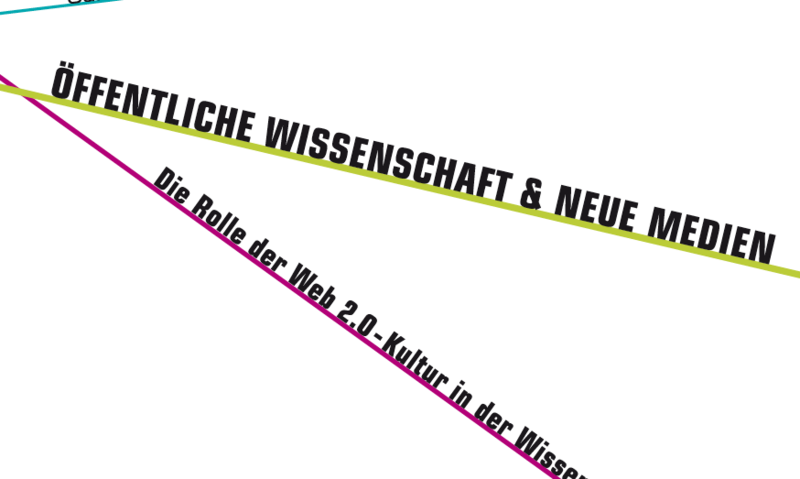 In this collection you can find some of our thoughts on the interplay between science and new media techniques (in German).